Since it was founded in 1962, Women Lawyers of Sacramento has encouraged women to enter and excel in the legal profession. In furtherance of this goal, WLS provides several scholarships to deserving law students in the Sacramento area. Many scholarships are available to first and second year law students, while another is exclusively for graduating law students to assist with expenses related to study of the California bar examination. Each year, WLS awards at least four scholarships. The exact number of scholarships and the amount of funds per scholarship is determined each year by the Foundation Board of Directors and is based on ArtFest proceeds. In 2019, WLS will award five scholarships. ​Applications for all scholarships are due by March 25, 2019. The Women Lawyers of Sacramento scholarship is awarded to a financially needy student who will be a first or second year law student in the Fall of 2019. The successful candidate will possess achievements that are consistent with WLS’s goals of advancing the position of women in law and society. CRITERIA: This scholarship will be awarded to a financially needy student who is currently a first or second year law student (or third year in a four-year program) and whose achievements are consistent with WLS’s goals of advancing the position of women in law and society. The WLS Scholarship will be awarded at the Unity Bar Dinner to be held tentatively in October 2019. The Margaret A. Flynn scholarship was established by WLS in 1983 in honor of Sacramento County’s first woman judge. Her appointment to the Sacramento County Municipal Court bench in 1964 was the result of the first organized effort by Women Lawyers of Sacramento (“WLS”) to get a woman appointed to the bench. A graduate of Boalt Hall School of Law, Judge Flynn served as Deputy Legislative Counsel, Principal Research Attorney and Clerk of the Court of Appeal, Third Appellate District. Judge Flynn had a quick mind, an assertive manner, and little patience for red tape detail. The Margaret A. Flynn Scholarship is awarded to a financially needy first or second year law student who has engaged in exemplary community service. Special consideration is given to candidates whose community service has benefited women and/or children. CRITERIA: This scholarship will be awarded to a financially needy student who is currently a first or second year law student (or third year in a four-year program). The successful candidate will have engaged in exemplary community service. Special consideration is given to candidates whose community service has benefited women and/or children. ​The Margaret A. Flynn Scholarship will be awarded at the WLS Luncheon on April 25, 2019 at Lucca Restaurant. In 1992, Women Lawyers of Sacramento established a scholarship in honor of Justice Frances Newell Carr. The daughter of migrant farm workers, Frances Newell Carr often switched schools and quickly learned to take advantage of whatever educational opportunities were available. Naturally competitive, she learned to cut more grapes than anyone else did by the time she was ten years old. She decided to become a lawyer because “all the important men were always lawyers.” She worked her way through college and law school, graduating from Boalt Hall School of Law (now UC Berkeley Law School) in 1948. She and another woman classmate had difficulty finding employment until they found a lawyer who offered to let them both work full-time for a single $200 a month salary. ​Frances Newell Carr was a founding member of WLS and its first president. In 1975, she became the first woman appointed to the Sacramento County Superior Court. Five years later, she was elevated to the Court of Appeal, Third Appellate District, where she served until her death in 1991. The Frances Newell Carr Scholarship is awarded to a financially needy first or second year law student with an outstanding academic record. Special consideration is given to candidates who have overcome personal adversity. CRITERIA: This scholarship will be awarded to a financially needy student who currently is a first or second year law student (or third year in a four-year program) and has an outstanding academic record. Special consideration is given to candidates who have overcome personal adversity. ​The Frances Newell Carr Scholarship will be awarded April 25, 2019 at the WLS Luncheon at Lucca Restaurant. In 1997, Women Lawyers of Sacramento established a scholarship in honor of Virginia S. Mueller, a trail-blazing Sacramento lawyer who worked tirelessly to advance the position of women in the legal profession. Ms. Mueller practiced law for over half a century, having become a member of the California Bar upon graduation from Cornell University Law School in 1946. In 1959, despite her gender, she was hired as the first woman deputy in the Sacramento County District Attorney’s Office because she was clearly the most qualified candidate. 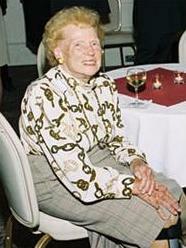 Virginia Mueller was a founding member of Women Lawyers of Sacramento and served as its second president. Through her leadership positions in WLS, the National Association of Women Lawyers and many other organizations, Ms. Mueller worked vigorously to end all forms of discrimination against women. CRITERIA: This scholarship is available to third year day or fourth year evening students who will be sitting for the 2019 California bar examination. Special consideration is given to candidates who have worked to expand opportunities for historically disadvantaged persons, including women. Describe how you have worked to expand opportunities for historically disadvantaged persons, including women. ​This Scholarship will be awarded at the WLS monthly luncheon on April 25, 2019. 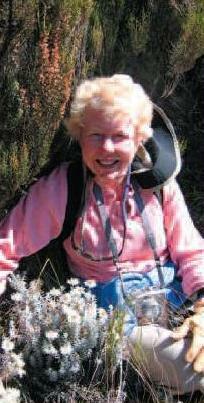 In 2008, Women Lawyers of Sacramento established a memorial scholarship in honor of Karen Pedersen Stevens. A passionate advocate for women’s rights, Karen Pedersen Stevens began her successful career and journey soon after graduating from Vassar College in 1966. While working at the State Capitol, she was instrumental in helping the Senate Judiciary Committee draft California’s “no-fault” divorce law. In 1973, she graduated from McGeorge School of Law, and immediately began her involvement in promoting women in the profession. Karen Pedersen Stevens was a founding member of California Women Lawyers, and she later served as a president of Women Lawyers of Sacramento. Her service and dedication to the legal community included her participation on the Attorney General’s Women’s Rights Task Force, State Bar’s Board of Governors, California Young Lawyers’ Board of Governors, and UOP McGeorge School of Law Board of Directors. Karen Stevens was also active in local bar activities, serving on the Judiciary Committee and as a Sacramento County Bar Association (SCBA) board member and officer. She resigned from her position as First Vice President on SCBA’s board of directors to concentrate on fighting her brief, but courageous, battle with pancreatic cancer. In 2007, SCBA selected Karen Stevens as the posthumous recipient of the Distinguished Attorney of the Year Award. CRITERIA: This scholarship will be awarded to a financially needy student who is currently a first or second year law student (or third year in a four-year program). The successful candidate will have an interest in pursuing a legal career in family law and/or has assisted women and/or children (i.e. dissolution process, adoptions, etc.). Special consideration will be given to individuals who have a desire to start their own family law practice. ​The Karen Pedersen Stevens Scholarship will be awarded at the Sacramento County Bar Association’s Annual Bench-Bar Reception to be held tentatively in April 25, 2019.